First steps in foundation of the company were made in 2006 when a small service station turned out into a bigger one and we felt a sharp necessity for quick and accurate methods of testing. Our engineers started to develop diagnostic equipment, diverse in options and functional purposes, in order to make our working activity easier. Later we began to offer our auto shop equipment. We succeeded and made a decision to vary types of our vehicle diagnostic equipment. Currently we are a team of 50 friends with a solid experience of ups and downs, aware how to run our business. We permanently expand our product line, upgrade equipment design and functions and improve quality of our inventions. Our main goal has always been to simplify and fasten the process of diagnostics and repair of car units. We were the first to test, use and optimize our car garage equipment, thus, we know how to handle it in any situation! April 2017 has become one of the most fortunate months of the year – our automotive diagnostic equipment is now CE certified. MSG Team stands for safe living and environmental wellbeing that is why it has been so crucial for us to receive European Certificate CE. This is one more opportunity to emphasize our aspiration for quality improvements, it is clear proof of our efforts to conform to international standards! Why MSG Equipment is the best vehicle diagnostic equipment manufacturer? Our specialists have been dealing with automotive service for more than 10 years already. We started with a small service center when, repairing all motor vehicle units manually, spending plenty of time in order to do quality work, generating ideas of how to optimize our activity, we prepared a solid basis for strengthening of our positions: we increased the number of service centers and, clearly understanding what kind of tools we needed to simplify and shorten the process of motor vehicle repair, started to invent auto repair shop tools and equipment personally. We know how to produce, how to use and how to repair our automotive equipment which is the most important feature of professional approach in any business. Our customers can order several items of garage supply equipment for their auto shop or service center in one place! There is no need to look for a specialized repair shop to recover particular auto parts - conduct all recovery works in the territory of our enterprise! 3) To be always in touch with our customers is one of the fundamental rules of our company. And four more convincing points regarding our car servicing equipment: we are ready to answer all your questions 24 hours a day ● we offer 1 year warranty and life-long customer support ● we provide well-structured sales geography and worldwide shipping ● our main goal is to save your time - MSG Equipment will do the dirty work in the car instead of you. Our product line includes garage auto equipment for diagnostics of power steering racks and pumps, shock absorbers,brake calipers, starters and voltage regulators; flushing and testing test benches for AC compressors, alternator tester for sale. We keep updating our assortment and inventing new products with more functions and opportunities. Our unique combination of solutions for electric power steering racks, pumps, columns resulted in EPS Controller MS561. Still searching the internet for your electric power steering failure or how to stop the leakage? We are proud to realize customer’s demand. 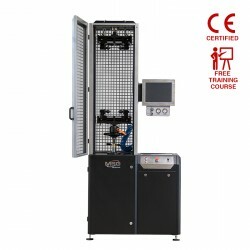 With this diagnostic kit for EPS system your capabilities are enhanced as well as your workshop efficiency. MSG Equipment development engineers constantly work to include new diagnostic coverage and vehicle information as it becomes available. Besides cheap garage equipment, we also produce specialized tools, used for quick repair and adjustment of motor vehicle units in power steering system. They will not only simplify the process of repair but also prevent motor vehicle units from deformation. On coming once, we will do our best to make our visitors come back every next time - this is the core principle of our work. If this approach appeals to you, welcome! One of the most important condition for the effective work of service stations is the continuous growth of staff skills. Therefore, the issue of raising the qualifications of staff stations, is always relevant. Yesterday you thought to buy the tester MS013 COM! Today you can just win it! MSG Equipment as a manufacturer of car service equipment, remembers every customer, as a best friend! We value our friends, and in deference we offer to take a part in the drawing of the tester MS013 COM! Anyone can become the MS013 COM owner to test voltage regulators! 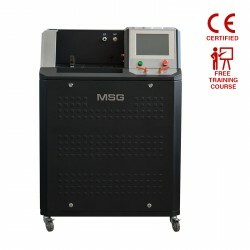 MSG Equipment offers turnkey solutions for starting a business in the automotive diagnostics and repair direction. Business creation steps for the repair of individual units and components for new service center. MSG Equipment is a manufacturer of equipment and tools for auto services. We are waiting for your orders in the representative office of MSG Equipment in Poland.